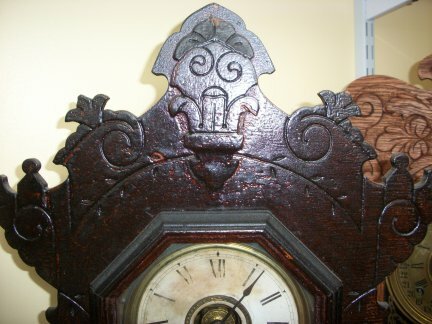 This is a walnut kitchen clock made by the Seth Thomas clock company. It has a timer and strikes the hour and half hour. 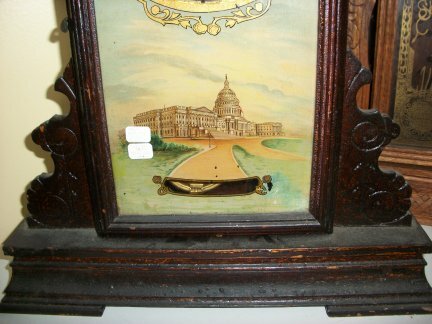 The most unusual part of this clock is the painted tablet. 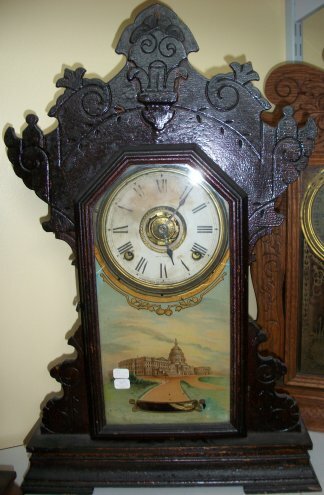 Most kitchen clocks have only a gold or silver painted glass but this one is in full color and it is beautiful. Closer view of the tablet. Close view of the entire tablet. The open area is where you can see the pendulum go back and forth. 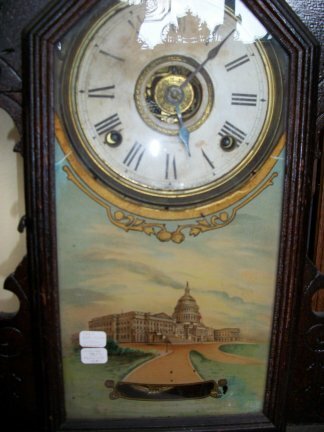 Cost is: $285.00 without case work, $400.00 stripped and refinished.